Constructed from hand painted resin, this piece features a highly detailed skull with Celtic knots. Measures 3 1/2 in. diameter. I love the detail of the ashtrays and are perfect for holding my pipe. 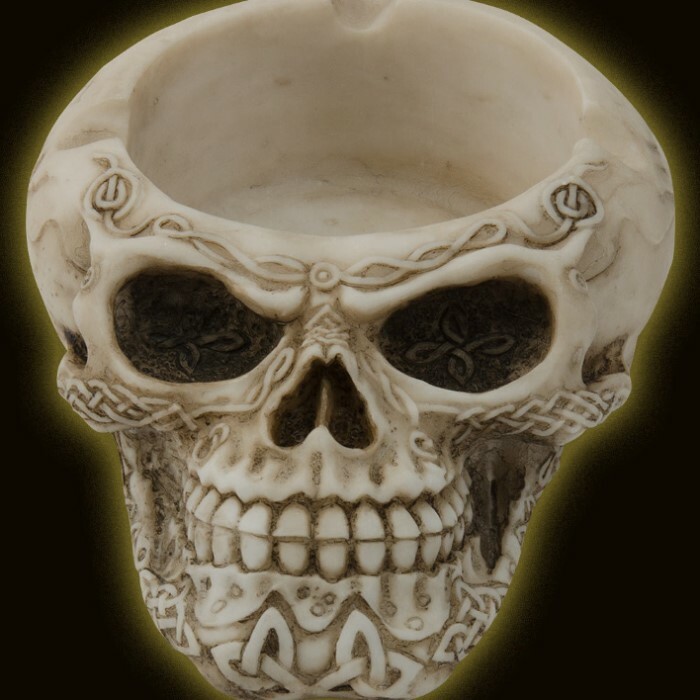 This skull ashtray looks much better in person. It's a little bigger than an average circular glass ashtray. 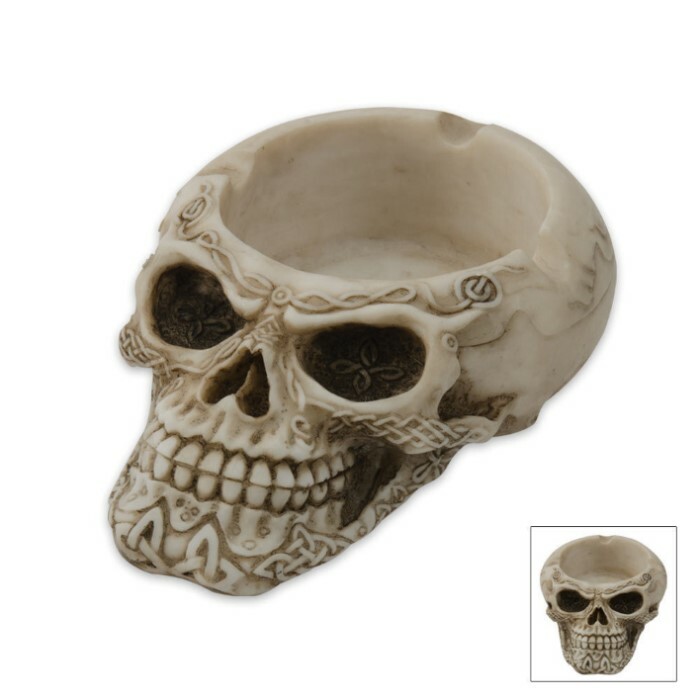 But seriously for $8.00 if you like skull theme it's a very nice ashtray. I was impress when I got them, the look great in my livingroom. I don't smoke so I use them as a candle holder, pleople complement me on them and aske me where did I get them! I love this ashtray. The detailing is totally awesome! My friends love it too.